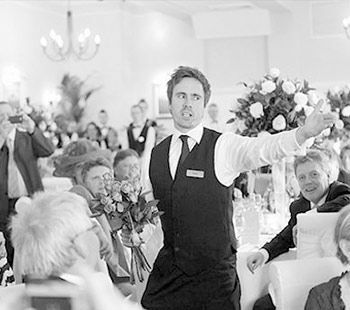 Do you want to hire musical artists to brighten up your event? 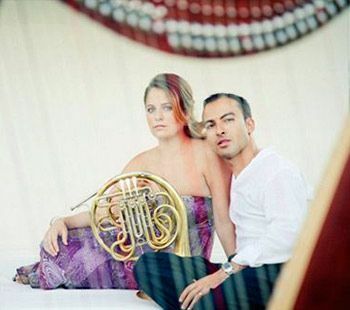 We have all kinds of musical artists, male and female soloists, groups, “coros rocieros”, “tunas universitarias”, “charangas musicales”, quartets and a big variety of musicians ranging from classical pianists to jazz and soul shows, along with a varied list of guitar recitals, so characteristic of our country. Consult in detail our range of artists for events and parties entertainment. 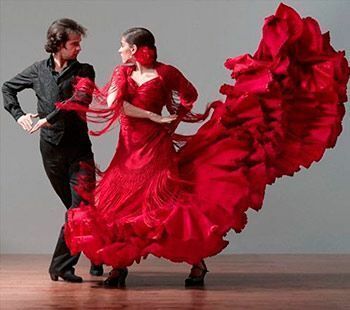 Almost a genre in itself, flamenco fusion combines the beauty of the traditional Spanish music with the Arabic rhythms of oriental countries and even with the Argentine Tango genuine beat. 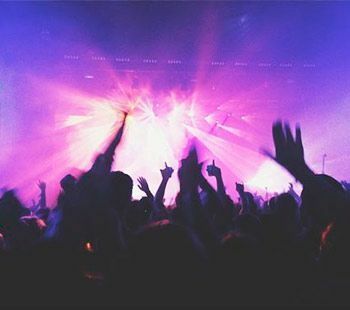 By hiring artists, our events are enlivened with shows unique for their astonishing fusion among styles which will not leave you indifferent. 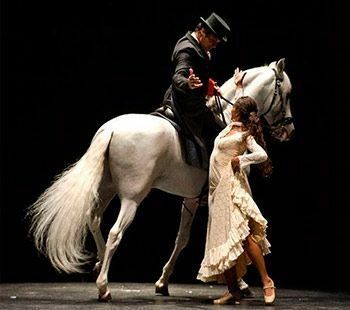 Try to imagine the beauty of flamenco dance and the accuracy of equestrian dressage fused in a unique and genuine show. Flamenco troupes, jockeys and female dancers perform a powerful and emotional choreography for the enjoyment of the audience. Very few musical varieties can reach the soul as flamenco does, with its rhythms, beats and the dancer´s aesthetic armony on a “tablao”. 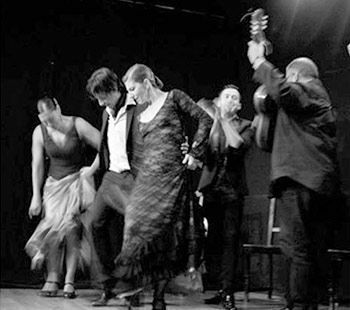 We have different modalities of flamenco troupes with guitarists, dancers and singers to recreate the essence of this show in your own private party. A choreographic dance with genuine Andalusian essence and colourful clothes full of life. Nothing to see with whatever ballet show you have enjoyed before. 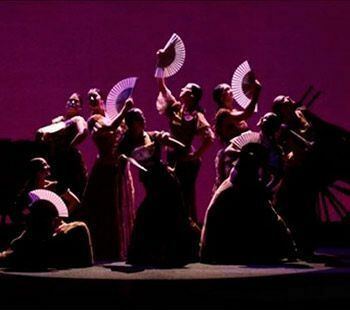 Several dance shows, apart from an adaptation of the famous opera “Carmen”, make up our selection of Andalusian ballet. Are you looking for a DJ to organize your private party? We can take charge of everything: from the installation of the sound equipment and lighting for concert halls up to 2.000 people with professional up-to-date DJs and varieties which range from the most commercial entertainment and music for a festive and relaxed atmosphere to the most underground and selected electronics for you to enjoy a perfect experience. Lyric musical groups, recitals and even an adaptation of the famous classic opera “Carmen” by Bizet. We are proud of being able to present you our selection of opera, “zarzuela” and choir that you need for your event. 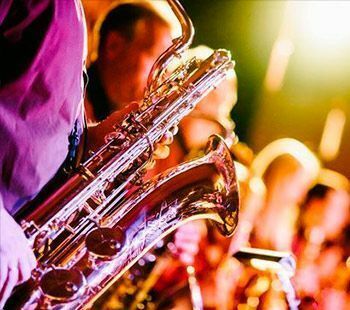 Every kind of musicians and musical groups ranging from classical, modern, symphonic styles up to jazz, folk, bossa nova, cuban music, and the best Andalusian music to provide entertainment for both your event or private party. 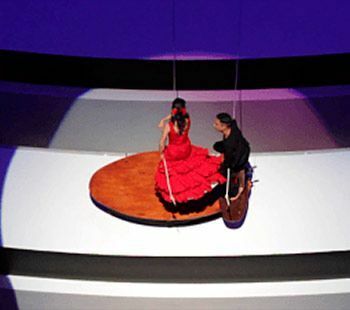 A daring proposal which fuses traditional flamenco with contemporary dance on a show that challenges optics, physics and purity to risk on its mise en scene. If all the above mentioned does not cover what you are looking for your event, we still have more for you. Caricaturists, belly dancing, stiltwalkers, magicians and illusionists. A colourful selection of artists and, of course, the possibility of consulting us directly about the kind of event that you were looking for. Looking for a singer or group for your event?